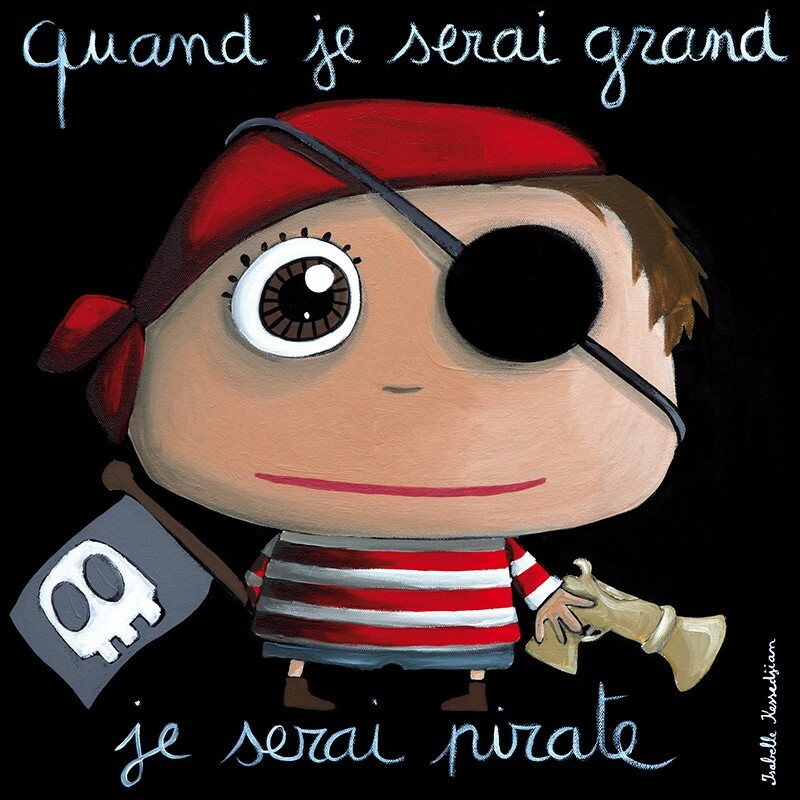 When I'm big I'll be a pirate High fidelity canvas reproduction of original paintings by Isabelle Kessedjian. "When I'm big" collection These mischievous paintings are reminiscent of our childhood dreams. Remember when you wanted to be a teacher, a doctor or a nurse? A lovely gift perfect to celebrate any birth or christening.